In great working condition. Glass is clean and no defects. Slight and normal wear on lens barrel. Red camera not included but you are welcome to ask for a price that I have not thought about selling. 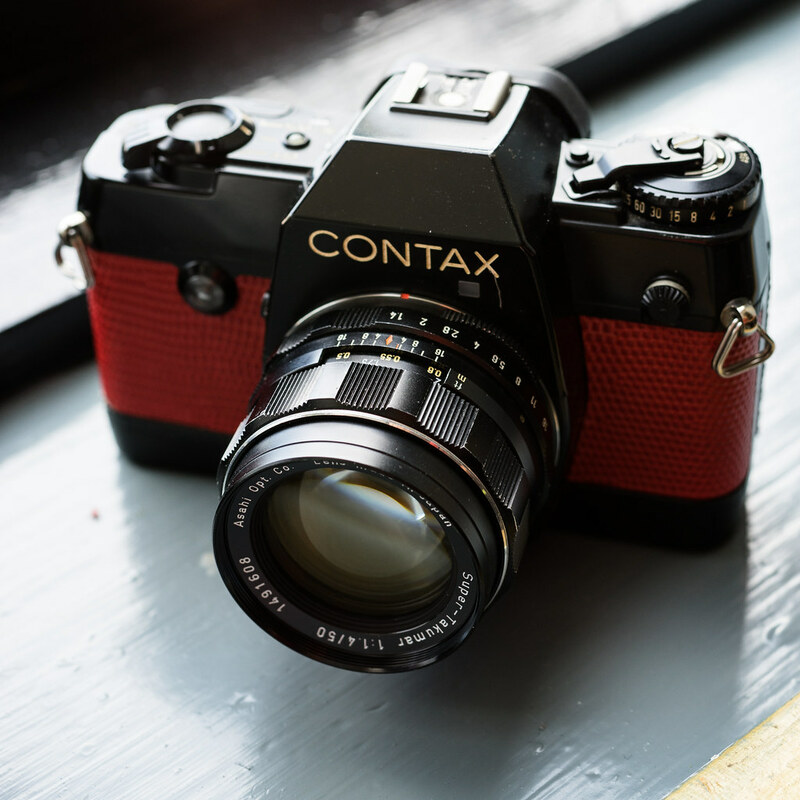 It is in contax Y/C mount and with a M42 converter. 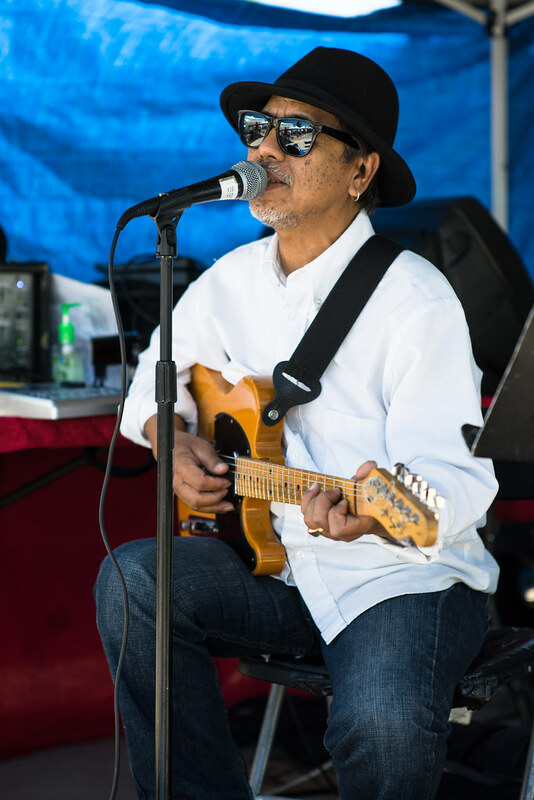 Last edited by hinman; 09-29-2018 at 06:30 PM. I thought it gets to you on Thursday and hopefully it gets to you before your weekend. Lens was delivered on Saturday. 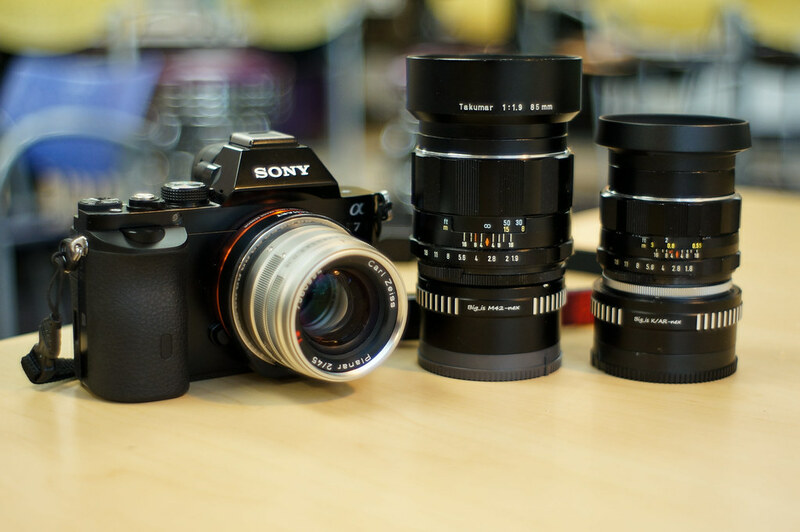 The Super-Takumar 85mm f/1.9 and Super-Takumar 135mm f/2.5 are available to new owners. I have way too many great looking and interesting gear to list. The red camera can be purchased and I will throw in adapter to M42 mount. I have a Tamron 28mm f2.5 in C/Y mount and the Sigma 24mm super-wide f/2.8 in c/y mount as well. Please PM for detail as I am motivated to sell these Takumars and have other gear to list. I have 177 positive ratings and many sale go without rating as buyers forget or don't have the habit rating. I don't blame them. I have been able to sell with positive rating as I ship quickly and have a good track record on accuracy in the description. I don't sell to make money as I sell to trade up or cut down on LBA leftover. 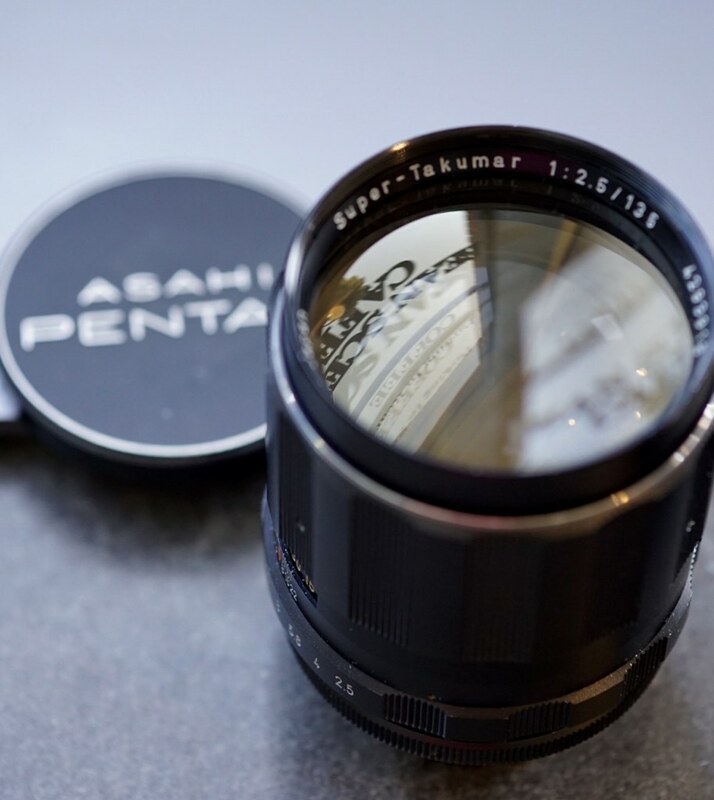 I have adjusted the price and I am eager to find a buyer for these two beautiful super-takumar lenses. My copy of both 85 and 135 are close to mint in conditions. The 85 is mint and the 135 is close to mint. 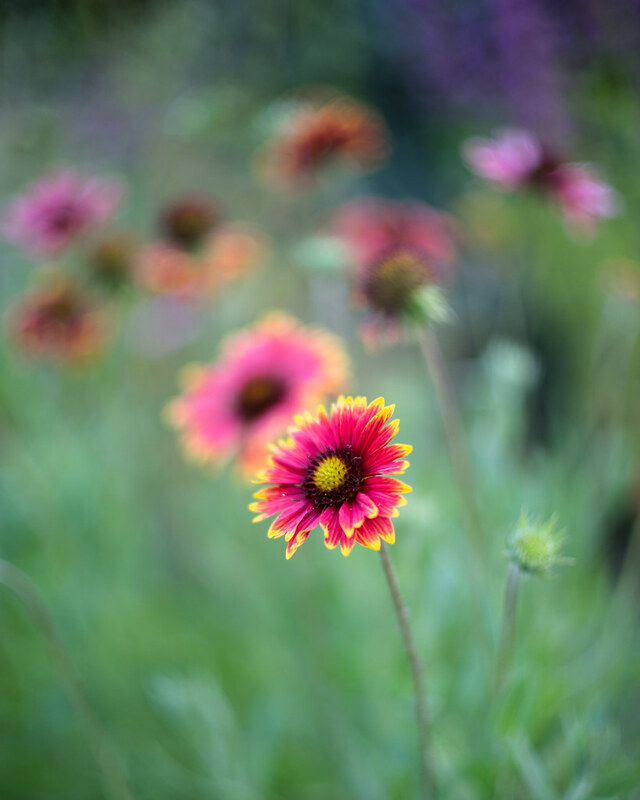 Hin, just wanted to let you know, i am enjoying the 50mm f1.4. It is in excellent condition and really a collector's item. Thanks!!! 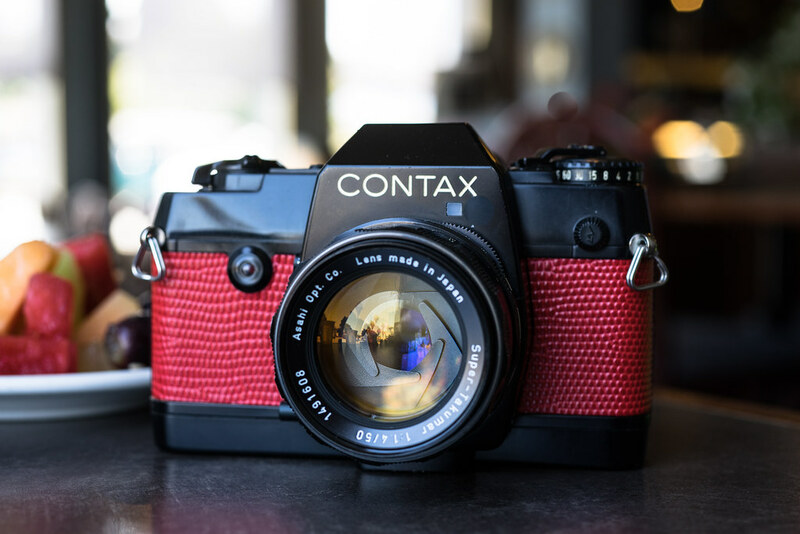 My long time friend from High School asks for the 85mm and I have to withdraw my MINT copy of SuperTak 85mm f/1.9 for my good friend in Hong Kong. The Super Tak 135mm f/2.5 is still available, I am motivated to sell, please PM if you have interest. I have not used the 135 but it sure look very close to mint in condition. When time allows, I will shoot test shots likely in the weekend. Bump to see new owner with interest on a great Super-Tak 135mm f/2.5 in M42 mount in pristine condition as mint. My Super-Tak 135mm f/2.5 has 6 blades with a diamond in the DOF scale, I think it is the version 1. 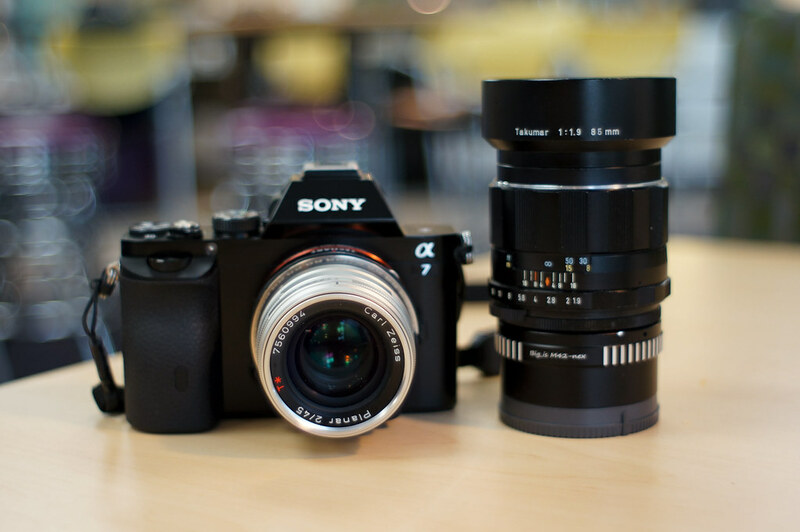 I should have 2 of the o riginal and genuine Pentax M42 to K adapter along with some third party ones. I can sell the genuine adapter for $25 to help with the sale -- if I found out that I only have 1 adapter left then I can't sell you my only copy. For K to M42 mount, I only recommend the genuine adapter, even the Kipon labelled adapter has issues. 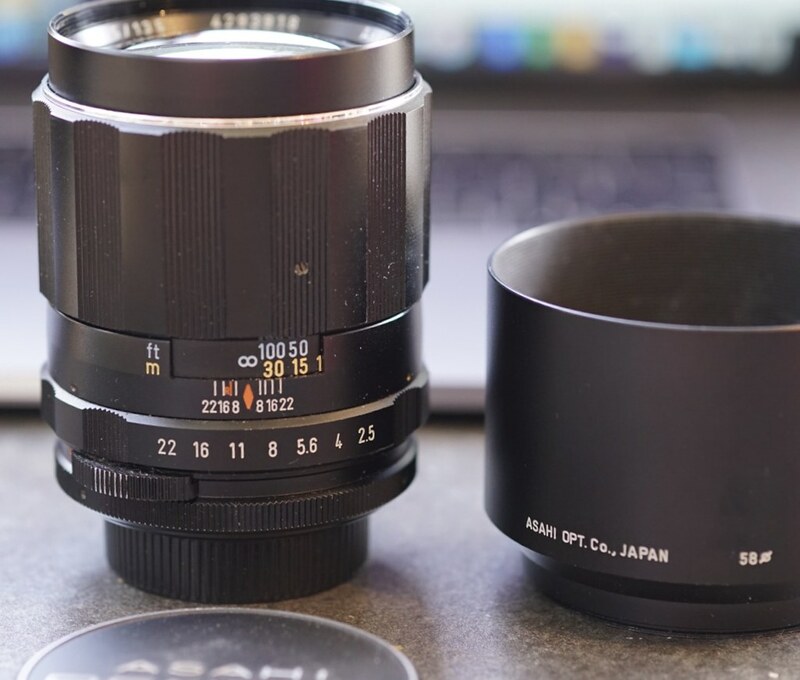 Please reply me if you want the lens and I will confirm later today if I have the extra copy of adapter. I have not shot with the lens yet. I just have way too many lenses. I will attempt some test shots this weekend to help on my sale. If you decide to move on, please drop me a line and you can help me put a comment in my sale thread. I have to check for it tonight. I do have the original adapter(s) but not for sale. I will go through my collection as I may have other non-genuine adapter that we can discuss. Best is to use the genuine adapter. I will update you tonight. is this a version 1 or 2 ? do you have the adapter that allows it to be used on a K mount camera ? Last edited by hinman; 08-29-2018 at 09:08 PM. 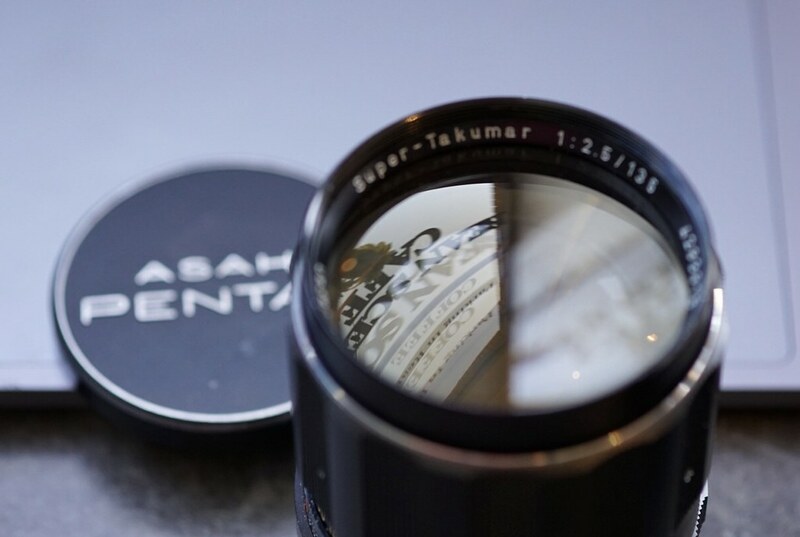 Super Takumar 135mm f/2.5 is reduced to $90 + shipping. Price is firm. 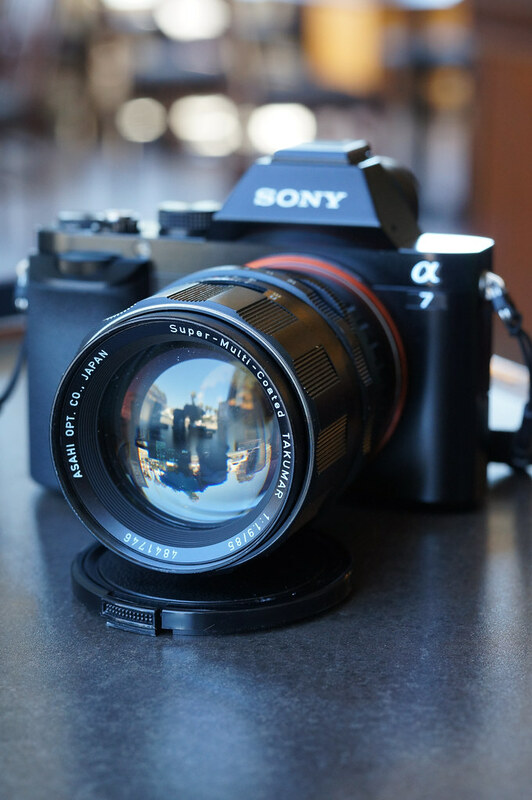 It is shame that I never find a chance to try this lens. Just don't want to get attached. I want to get my 135mm to one lens with Tamron adaptall-2 as I don't use this focal length much. Finally get my Super-Takumar sold to a wonderful member in Singapore. Will be close this thread next.